Even though deep snow now blankets most of the state, work is underway to continue restoration efforts on Boardman River. 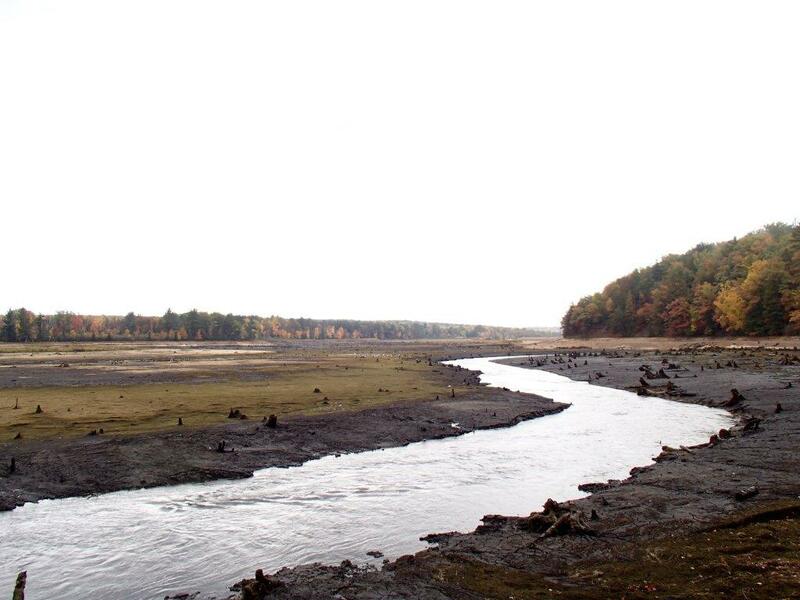 The projected $17 million to $19 million project that will result in the removal of three dams and the modification of a fourth dam is entering Phase 2, according the Boardman River Dams Implementation Team. Phase 2 work is expected to cost from $13 million to $15 million. It includes design work, stream studies, and replacing the Cass Road Bridge over the river, among other things. It also includes modification of the Union Street Dam in Traverse City. That dam will remain in place as a sea lamprey barrier. It is the first barrier upstream from Lake Michigan and is likely to be modified to allow some passage of lake-run fish, once decisions are made about which species to let pass. the group has roughly 30-percent of the funding it needs to complete the second phase. “The funding committed right now is $4.4 million and the Great Lakes Restoration Initiative is responsible for a fair amount of that,” said Chuck Lombardo, a spokesperson for the implementation team. “Many of the funds we expect to get will come from the same sources as Phase 1 – federal, state,and other sources. Phase 2 field work started in December, according to Dituri. It involves mapping the river to understand the changing conditions. Work ahead includes not only removing Boardman and Sabin dams, but realigning the river between the two and bringing it back to its historic channel along with restoration work. Money is also being raised to study the question of fish passage at the Union Street Dam. Michigan DNR officials have said it will be important to have a public discussion about species to let pass. Just how that dam is modified, and what those fish passage needs require, has bearing on upstream construction decisions, Dituri said. “Part of the money will go to fund a study of fish passage and invasive control. We want it to be a joint decision using the best possible information,” Dituri said. This entry was posted in Uncategorized and tagged Boardman River, Conservation, Dams, Environment, River. Bookmark the permalink.